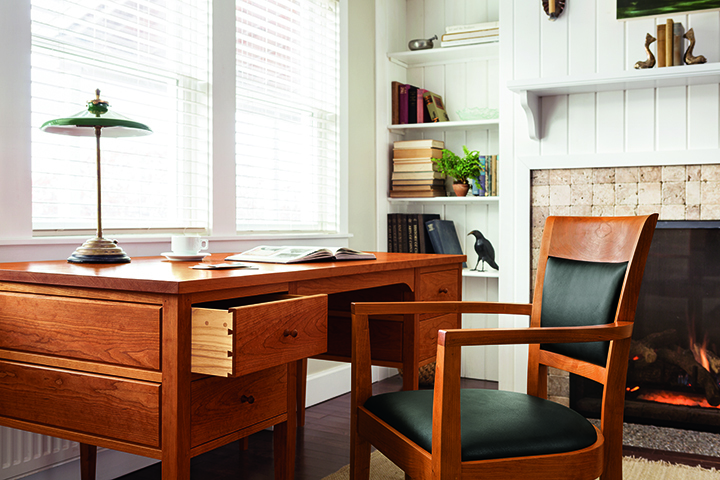 A versatile desk for home or office, the Eight Leg Writing Desk is designed for greater storage, with two drawers on the left, a file drawer on the right, and an optional center keyboard tray. 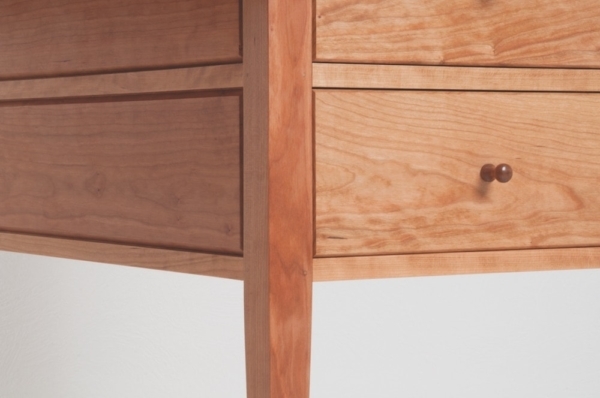 The exceptional craftsmanship required to build its frame and raised panel construction is appreciated in the pinned mortise-and-tenon joinery used in Shaker designs. 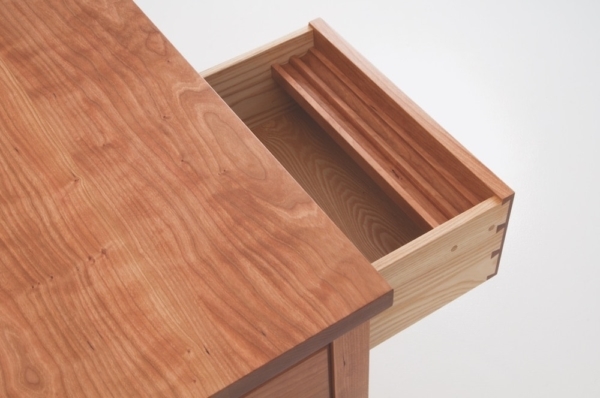 Its flush-mounted, evenly spaced drawers and keyboard tray promote intuitive use with minimal hardware. 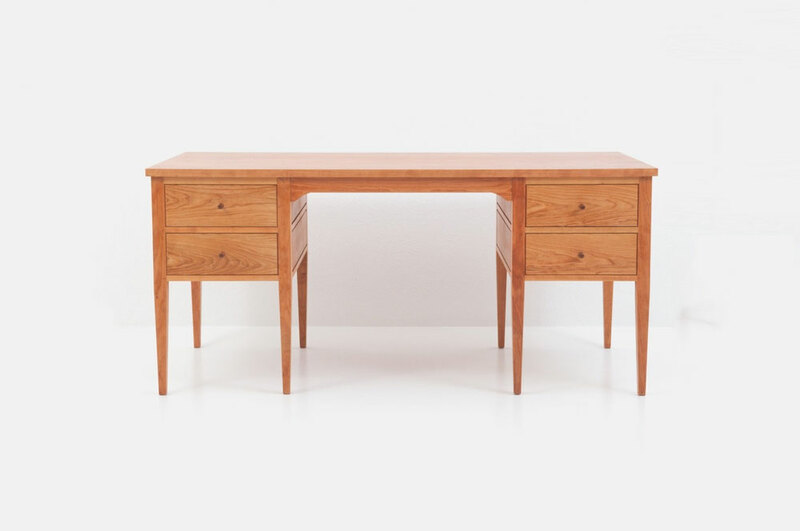 Crafted in the spirit of traditional Shaker designs, our Eight Leg Writing Desk is effortlessly beautiful and brilliantly utilitarian. 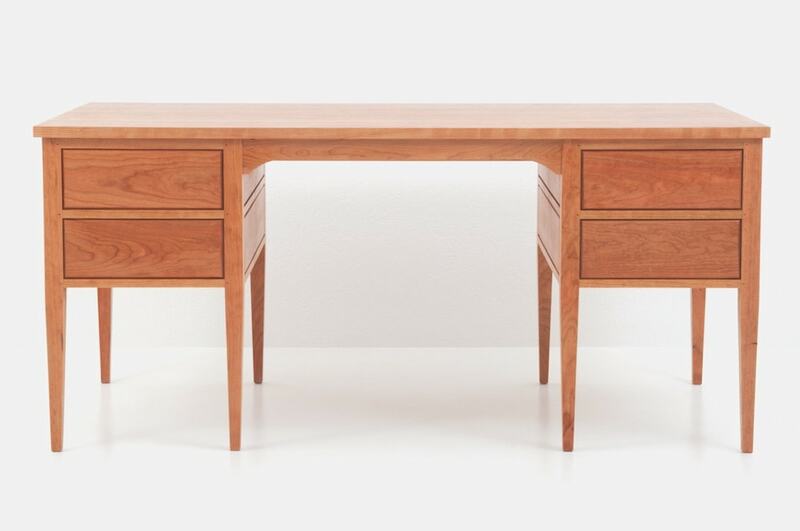 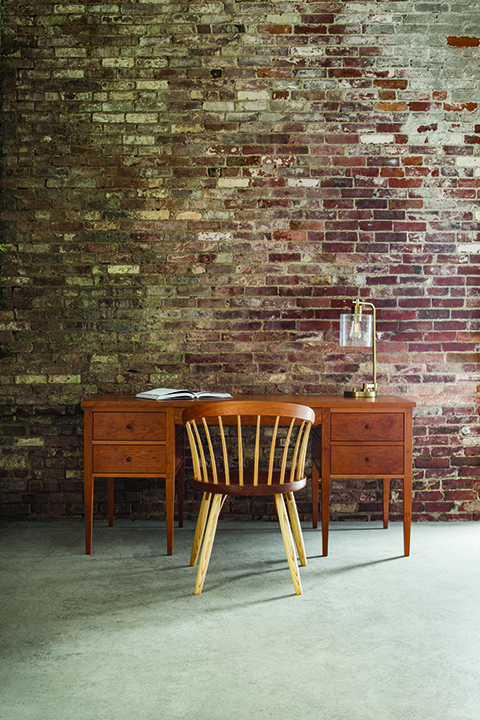 Made with your choice of sustainably harvested North American hardwood, the desk employs eight square, tapered legs that integrate with the cabinet and desktop through the use of traditional mortise-and-tenon joinery. The cabinet of the desk is arranged to host three drawers – one large for filing, and two smaller for smaller work essentials – with a central keyboard surface that slides from its storage position with minimal effort. 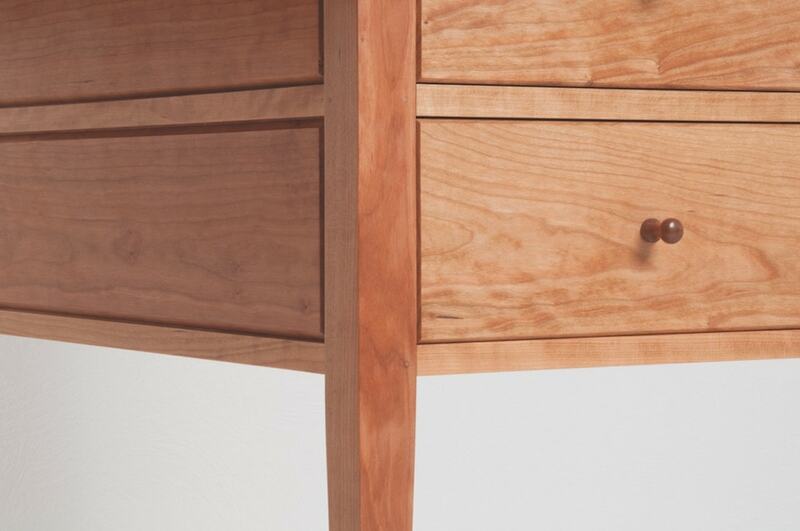 Dovetailed drawers move in and out on our distinctive hardwood slides, which employ no metal hardware to optimize both space and performance. 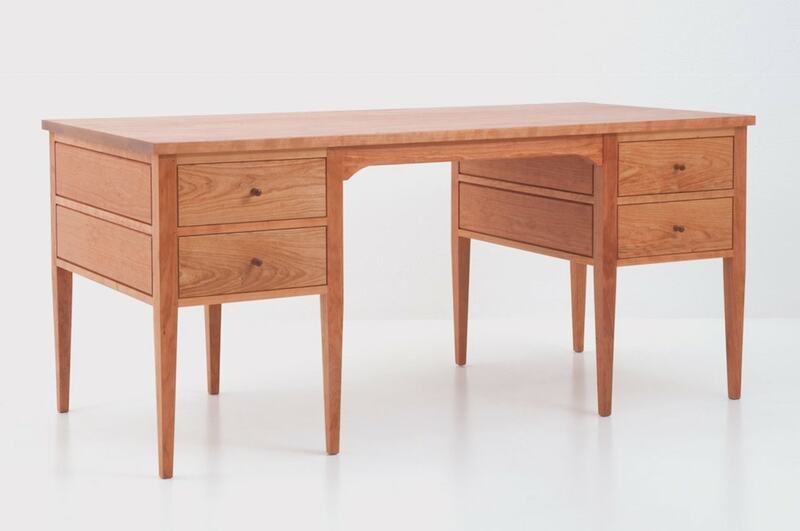 The Eight Leg Writing Desk is crafted to achieve a balance of mass and space, with a generous center section that provides ample room for legs and feet – and for a stored chair when work is complete. Available with a solid wood top, or you can choose the “Customize This Piece” option to select finely crafted leather covered panels that inset into the frame and are available in a variety of colors to add warmth and texture to the writing surface.